If there's one source you can trust for solid nutrition advice, it's personal trainer Ashley Borden. Her client list includes Reese Witherspoon and Ryan Gosling, just to name a few, so it's safe to say she knows what she's doing. With the holidays fast approaching and comfort food on everyone's mind, Borden has some simple advice to help you maintain your fitness and wellness goals. 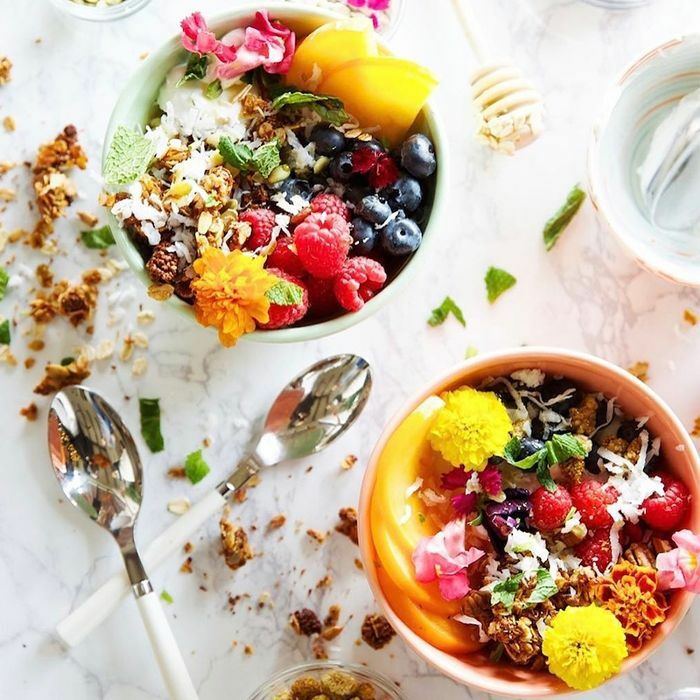 According to the celebrity trainer, the key to feeling energized and being able to get the most out of your exercise regimen is to steer clear of sugar and load up on a variety of vegetables, MindBodyGreen reports. While this may seem fairly obvious, it's important to remember the basics. "Sugars are inflammatory and trigger more sugar cravings, along with increasing inflammatory cortisol levels, which cause belly fat," Borden explains. This includes sugar found in alcohol, which is often overlooked. If you want to maintain your stamina and reach your fitness goals, be wary of the amount of sugar you consume. As far as what you'll want to fill your plate with, Borden suggests piling on the dark, leafy greens along with some other colorful veggies. "Choose vegetables that are all the colors of the rainbow, and focus on dark-green veggies, too," she advises. This is because the variety of vegetables help provide your body with phytonutrients. These plant-based nutrients can strengthen your immune system, prevent disease, and positively affect your hormones. While everyone should keep this advice in mind over the holidays to help them make smart choices and stay on track, the season still calls for a little indulgence. One slice of pie won't throw off your whole healthy lifestyle. Head to MindBodyGreen for the full story, and check out some Thanksgiving salads to help you get a full serving of veggies next.